In an alert posted on its website earlier this month, the federal Registrar of Imported Vehicles said any vehicle branded for flood damage is considered “non-repairable” and cannot be licensed in Canada. Canadians should be on the lookout for flood-damaged vehicles in the wake of Hurricanes Harvey and Irma, even if they are shopping domestically, officials warn. In an alert posted on its website earlier this month, the federal Registrar of Imported Vehicles said any vehicle branded for flood damage is considered “non-repairable” and cannot be licensed in Canada. It urged vehicle importers to “conduct a complete title history search” before purchase to watch for “washed” titles from several U.S. states with lax title protections. Transport Canada, the federal auto safety regulator, said assessments of water-damaged vehicles became standard practice for the Canadian Border Service Agency following Hurricane Katrina in 2005. 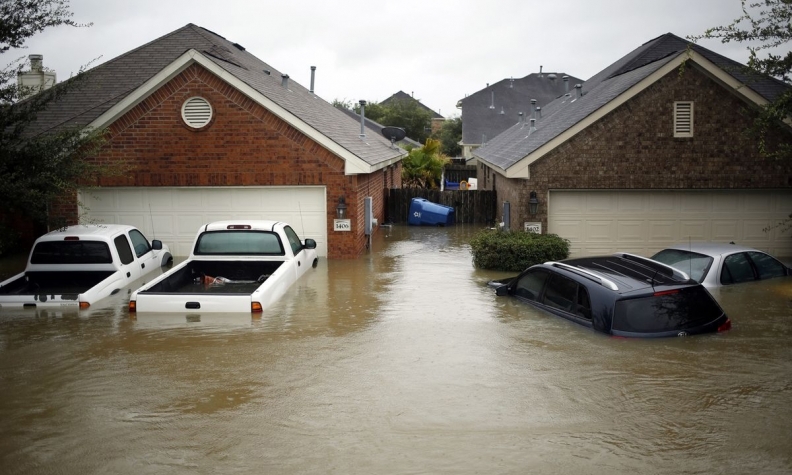 The rules will be put to the test in the coming months because hundreds of thousands of vehicles were damaged in the wake of Harvey, which wreaked havoc in southeastern Texas in late August. More vehicles were expected to be damaged due to Irma, which clobbered Florida and other southern U.S. states in early September. The rules are not airtight, however. Some provinces allow vehicles imported with salvage or rebuilt titles to be licensed under repair and inspection, provided they are not additionally designated as flood vehicles. Perhaps the largest challenge for Canadian consumers and dealers will be preventing vehicles with “washed” titles from states that do not require flood-branding or have looser requirements. According to the U.S. Bureau of Justice Assistance, 38 states fully participate in the National Motor Vehicle Title Information System, a national title database, while another six states partially participate by providing certain data. While the Texas Department of Motor Vehicles fully participates in the program, the Bureau of Justice Assistance said it would be working with state titling agencies to ensure they take “extra precautions” against potential washed titles. Tracy Mallen, program manager for the Canadian registration agency, said online commercial and government databanks have made it easier to spot vehicles with altered titles or histories of damage. “Back when it used to be all paper, that’s a different story – you didn’t have the multiple vehicle databases that you have today,” Mallen said. Doug Longhurst, the director of learning and communications at the Vehicle Sales Authority of British Columbia, said the province has dealt with 13 cases involving flooded vehicles since 2013. Longhurst said that while it is a low figure, it shows that Canadian dealers and consumers must be vigilant in looking for signs of water damage over the next several months. Harry Mews, president of the Ottawa-based Myers Automotive Group, said the dealership group relies on commercial search services to identify damaged cars offered as trades or at auction. Myers operates 12 new-vehicle dealerships and a Car Canada used-vehicle store. Mews said an unfavourable exchange rate could be a large factor in preventing many vehicles from entering the Canadian market. Imports have fallen by nearly 90 per cent from a high of 240,000 in 2008, when the Canadian and U.S. dollars were at par, the vehicle registrar reports. Longhurst, however, cautioned that a shortage of utility vehicles and trucks in the Canadian used-vehicle market could counteract that.